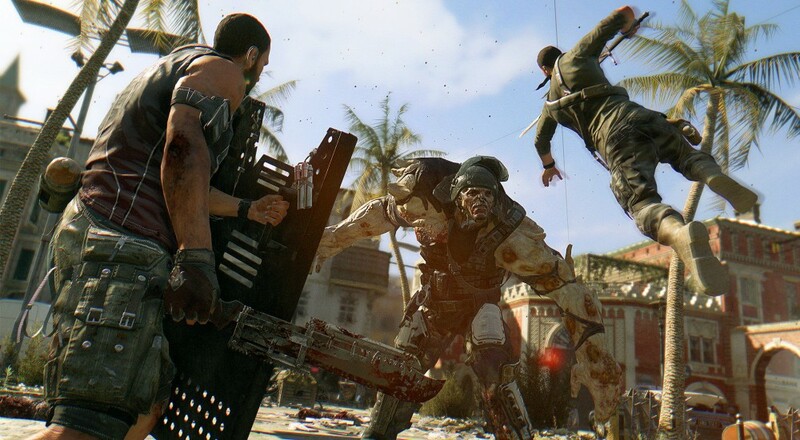 Co-Optimus - News - What's Next for Dying Light? Are you survivors still parkouring among the tropical ruins surrounded by the rotting, heinous undead? Dying Light released exactly half a year ago back in January, and Techland is breaking out the "Half a Year Anniversary" party hats! I'm not really one to celebrate half-aversaries or anything, but we liked Dying Light quite a bit, so let's all slap on a goofy hat and enjoy a montage of zombies getting bludgeoned. Techland's form of celebration is to slap together a video montage of all the junk they slammed into the game post-release. Well, with a little teaser at the end promising further content. Even in the post-apocalyptic wasteland littered with shambling corpses, the rumbling groan of the Dune Buggy is eternal. Why climb up walls and broken pillars when you can just drive up the side of a building? We don't know exactly what dune-buggy related adventures our freerunning protagonist will get into just yet, but Techland promised the newest DLC for Dying Light will be playable (behind closed doors) at Gamescom. The Polish developer plans on announcing the DLC a little bit after the event for those of us not journeying to Cologne this year. Ready to endure another 180 days of zombie-filled content?